At the inaugural CIC at the Woodside Horse Park in Woodside, CA, High Times made his FEI debut with Earl McFall. 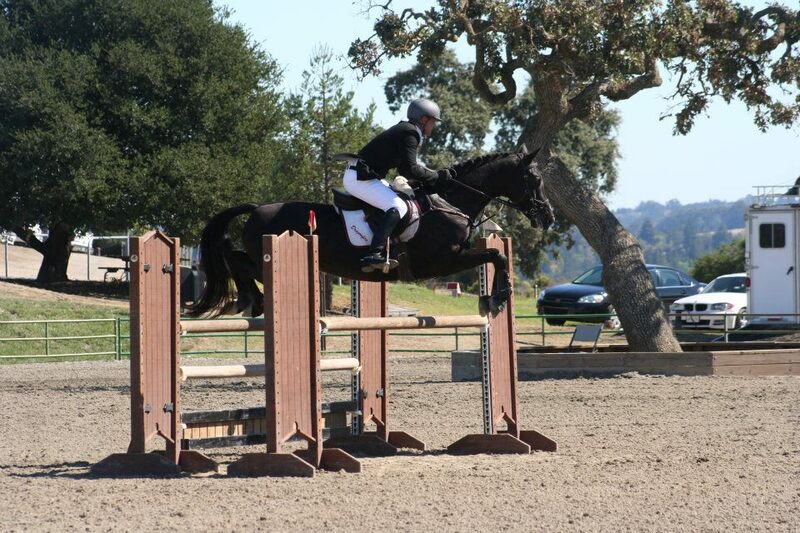 Because of scheduling conflicts with the Morgan Grand National, it was Earl not Jennifer, that got to guide this handsome powerhouse around the CIC* course. The duo started out in fourth place after Dressage and remained there for the duration of the competition. The high placing finish is a credit to High Times' talent and Earl's ability to catch ride a horse he never gets to ride at home (sharing Billy doesn't happen much! ).